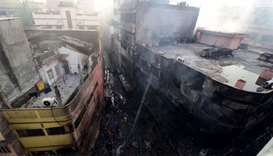 Friends and relatives of the victims caught up in a huge blaze that ripped through Bangladesh's capital were anxiously awaiting word on the fate of their loved ones late Thursday. 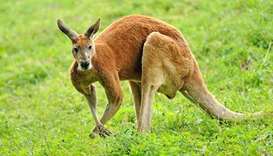 "Kangatarian" was Oxford University Press (OUP) Australia's "word of the month" in June 2017. 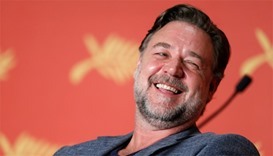 "Kwaussie", a portmanteau term that refers to a person who is both Australian and a New Zealander, was named on Monday as Australia's word of the year. 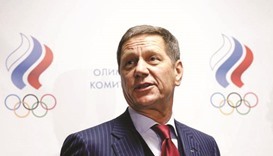 Russia’s top Olympic official said yesterday his country has cleaned up its sports doping problem and should be allowed to return to all international competitions. 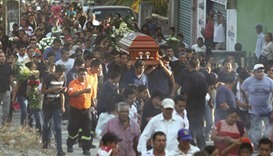 A state in central Mexico took over police command in several towns after a mayor was assassinated, a crime described as a gang threat to other mayors. The big showdown between Dilwale and Bajirao Mastani seems to have not really had any real resolution. Everyone had assumed that a Shah Rukh Khan-Kajol-Rohit Shetty movie would be on its way to break a few records but nothing of that sort seems to be happening.